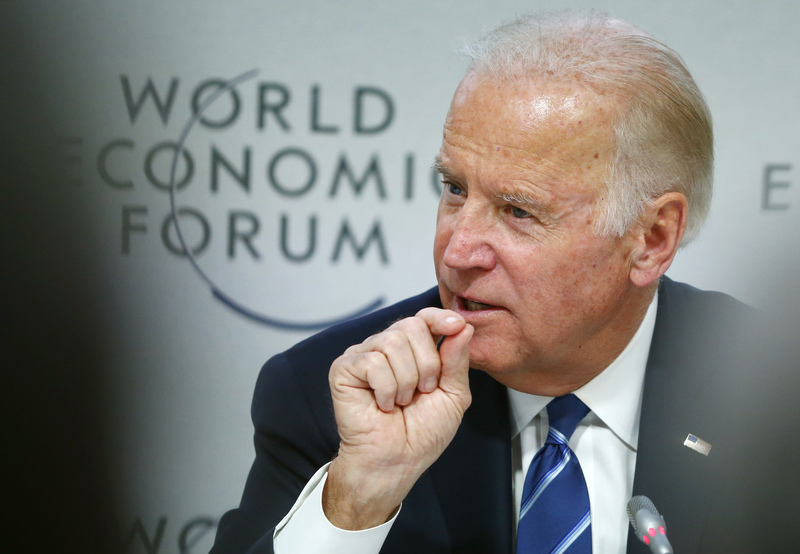 DAVOS, SWITZERLAND -- Vice President Joe Biden declared Tuesday he'd like to clear away bureaucratic hurdles and make way for a multi-billion dollar "moonshot" at curing cancer. "When you talk about a moonshot," Biden said during a panel discussion at the World Economic Forum, people often "think of one of these brilliant scientists in a laboratory finding a silver bullet going to cure cancer but it is so much more than that." Biden cited a recently enacted $2 billion increase in U.S. government spending on cancer research and laid out plans for federal agencies to join forces with immunologists, geneticists, virologists, molecular biologists, practicing oncologists, and others on the frontlines of battling cancer. He said he is keenly interested in learning how the federal government can add value to a complicated effort that would involve a myriad of scientists, doctors, corporations in the private sector and government agencies. "I know I can be nothing more than a catalyst here," he said. "I'm a repository of little to no expertise in this area but I have been at least in the confines of my country relatively good at convening people." The "moonshot" is an initiative President Obama officially tasked Biden with in his State of the Union address earlier this month, and something Biden committed to when he announced in October that he wouldn't run for president. Biden said he's been "dumbfounded" by the encouraging messages he's heard from cancer patients and researchers from around the world since announcing he would make it his life's mission. "We're at an inflection point in the fight against cancer," he said, citing the "treasure trove" of research data around the world that can be harnessed by supercomputers. "It's an inflection point where there's a possibility of making quantum leaps [in science and treatments]." Though Biden has been speaking about his initiative in an official capacity for only three months, cancer has played a tremendously difficult part in his life for years. In May, Biden's son Beau passed away from brain cancer. "The dreaded C-word," Biden said, "is the most frightening word anyone wants to hear walking out of a doctor's office. Later this month, the vice president will hold the first of several meetings with Cabinet members and agency officials back in the United States to discuss ways the federal government can be involved in boosting funding for research and treatment.